You can disagree all you want, but in my opinion, homemade Christmas presents are the most fun, both to give and receive. Which explains why this recipe for infused whiskey caught my eye when I spotted it a few months back. Who wouldn’t love to get a wee bit of spicy whiskey in the middle of a dead-cold Minnesota winter? I sure as heck would! Anyway, with Thanksgiving coming up, I figured this past weekend was probably a good time to get a’going on making this, especially since it takes a couple of weeks to infuse. 1. Pour bottles of Jameson into a container. 2. Add cinnamon sticks and sliced apples. Cover. 3. Infuse for 12-18 days depending on exposure to heat/light. 4. 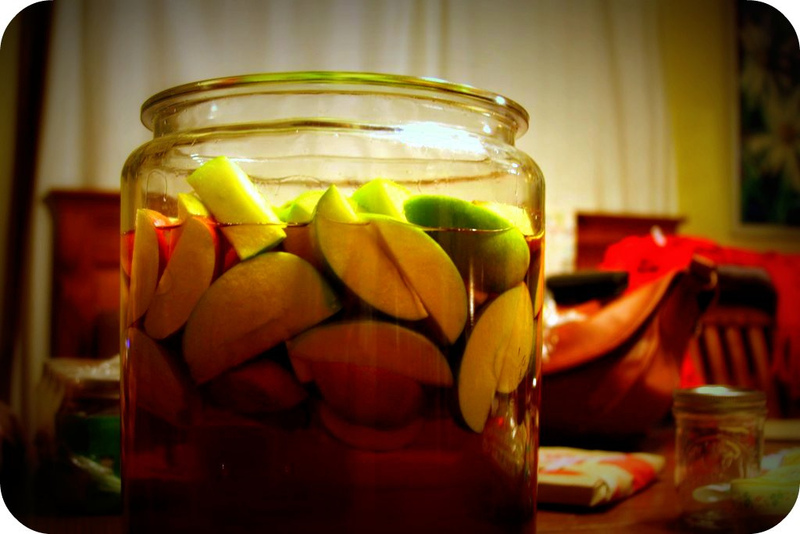 After infusing, strain and pour back into original bottle or into gift-able bottles or jars. 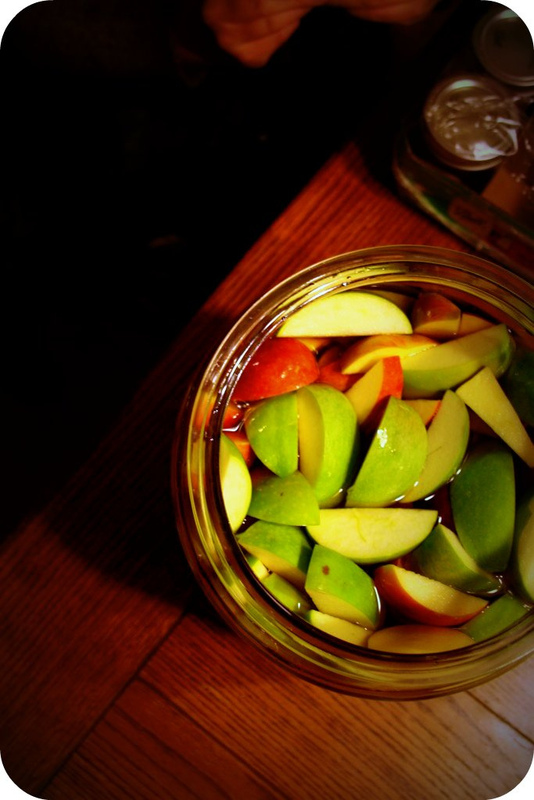 To make an apple-y hot toddy, mix 1-2 shots of the infused Jameson and hot apple cider in a mug. So stinking good! This recipe was created by A.J. Crotty, manager of Charlie’s Irish Pub in Stillwater, Minnesota and will appear in the winter 2011 issue of Minnesota Meetings + Events magazine. I hope your Monday’s are off to lovely starts, my dears! This entry was posted in How-Tos and tagged domesticity, gifts, giving, good times, holiday, holiday how to, how to, whiskey, winter by highplainsthrifter. Bookmark the permalink. I can’t wait to try the hot toddy! Yum, Yum, Yum! This sounds AMAZING. Love Jameson. Thanks for sharing the recipe!! My husband makes all kinds of infused liquor so I will be passing this along to him. It sound delicious!! I can’t wait to serve this at our holiday sledding party. A sledding party??! What a fun tradition! This’ll be perfect, I think, too! Glad you like! does anyone know how much this recipe would make? I am wanting to make christmas gifts and put in bottles. Meg, it makes right around a gallon. Good luck!